Here we explain the pros and cons of fitting winter tyres to your car and whether it is more costly or cost effective to use them. Rain, wet leaves, snow, black ice: winter brings its own set of hazards. Fitting winter tyres to your car improves driving safety – but only in certain conditions. First thing's first what exactly do they do and are right for you? 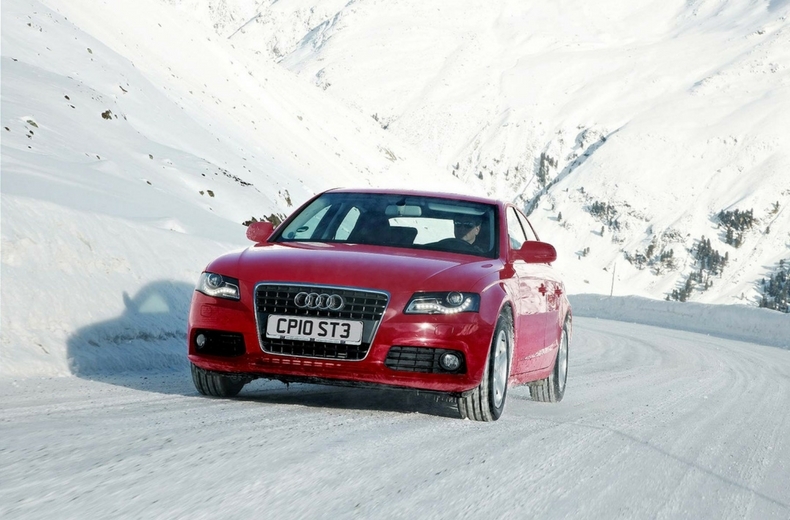 Winter tyres are designed to offer optimum traction and grip in cold conditions. They have a softer compound, along with deeper grooves and narrow cuts – called sipes – built into the tread. These features help disperse water/snow, and allow the rubber to move around – improving contact with the road. You can identify a winter tyre by the snowflake symbol on the sidewall. Note that tyres without the snowflake symbol but marked ‘M+S’ (mud and snow) are not necessarily proper winter tyres. 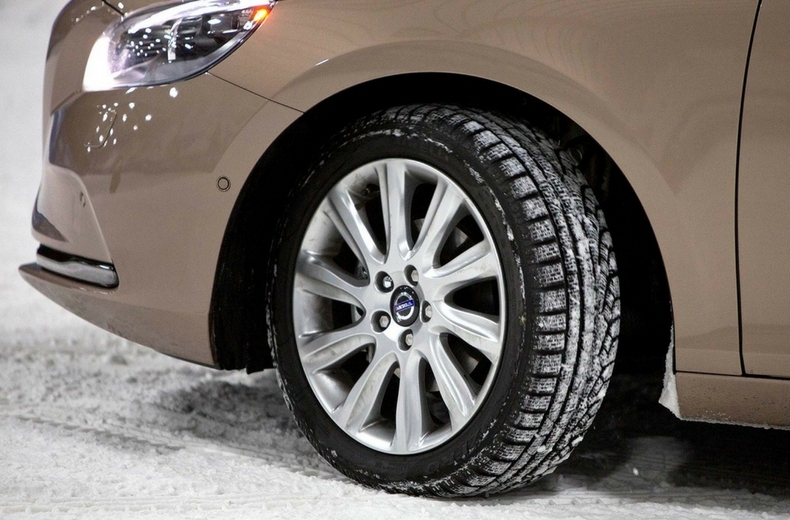 What are the benefits of winter tyres? Winter tyres work best at temperatures below 7 deg C. Indeed, they outperform conventional ‘summer’ tyres for traction, cornering grip and braking in such conditions – regardless of whether there is snow or ice. Tyresafe, an independent road safety charity, has tested the effectiveness of winter tyres. On snow, the gap widens considerably, as the sipes on winter tyres offer grip even when the tread is packed with soft snow. In such conditions, a two-wheel-drive car with winter tyres is invariably safer than 4x4 on summer tyres. READ MORE: What do your tyre labels mean? How much do winter tyres cost? Can I save money? 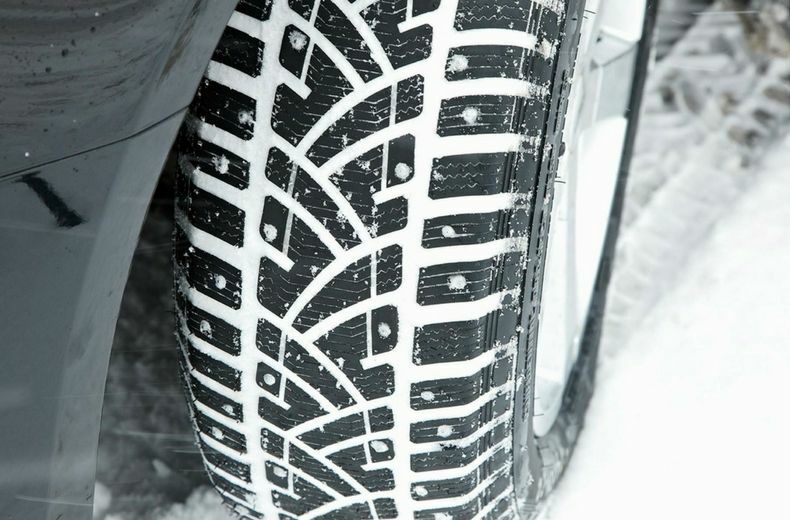 The price of winter tyres varies widely, dependent on your car and wheel-size. On average, they are slightly more expensive than an equivalent summer tyre in the UK. However, while the cost of four winter tyres is significant – especially if you also buy a set of ‘winter wheels’ to avoid swapping over twice a year – remember that your summer tyres will last longer as a result. Thus while you may have a fairly high initial outlay, the longer-term cost of winter tyres is relatively low. That said, you may also need to pay for storage at a ‘Tyre Hotel’ if you don’t have a suitable garage or shed. ATS Euromaster, for example, charges £7.50 per tyre per season. Fitting winter tyres should not affect your car insurance but it's worth double checking with your provider. The supplier you purchase the tyre from will usually fit them for you. For a more generalised overview of the whole tyre buying process read our complete guide to tyre buying. What is the law on winter tyres? Winter tyres aren’t mandatory in the UK. Only a small percentage of drivers choose to fit them, many of whom live in more remote areas – such as the Scottish Highlands. It’s a different story in much of mainland Europe, though. In Sweden, for instance, winter tyres are compulsory from the beginning of December to the end of March. And in Austria, they must be fitted between 1 November and 15 April or you face a €5,000 fine. Always check local guidelines before travelling in order to stay legal and safe. MORE ADVICE: VIDEO | How do I check my tyres are healthy and what's the legal tread depth? What are the alternatives to winter tyres? If you are concerned about the upfront cost of winter tyres, consider a set of snow socks or snow chains instead. Snow socks are high-grip fabric covers that fit over the car’s driven wheels, while snow chains are a harder-wearing (but harder to fit) steel alternative. To find out pros and cons and how to fit snow chains and snow socks visit our driving in snow advice page. Neither is a direct substitute for winter tyres as they can’t be used on snow-free roads. But they may offer peace of mind and a way out of a slippery situation.